In the first edition we looked at how to fast track to results by shooting more. Next we considered what it takes to create a powerful image by visualising, anticipating and capturing the right moments. In this months photography column I will give you my practical approach on how to start shooting on the manual settings in order to achieve far more from your images. First we will get the basics right by considering the important relationship between the elements of the exposure triangle. Next I will explain how to practically make this work for you and how you can quickly get a handle of these elements through application. Even if you don’t already have an in depth understanding of the theoretical application, by shooting on manual you will quickly get a handle of them. Remember: There can be no learning without thinking. The best way to think is through doing. These are the three pillars of exposure. If you understand these elements and more importantly the dynamic between them, you will be well on your way to achieving outstanding photographic results. The good part is they are not nearly as complicated as you think they are. What it is – In simple terms ISO represents the camera’s level of sensitivity to available light. The lower the ISO number the less sensitive it is to light. The higher the ISO the more sensitive it is to the available light. This enables the camera to take photographs in very low light conditions while still capturing colour and detail. The trade off is that the higher the ISO the more grain or noise is present. One of the great advancements which continues to improve with each new model or generation of cameras is ISO and the camera’s resultant improving ability to capture scenes in low light conditions. The better the camera the less grain or noise they have at high ISO levels. What this means to you – If you have one of the more recent generations of camera models, you will be able to push your ISO high without running the risk of excessive noise. I would avoid going much higher than an ISO of 2000 while there is still available daylight. Once the light drops further, you can go to much higher ISO levels and still achieve images with very little noise. You can also reduce the noise in Lightroom during your post production which is a very useful tool and important to remember. Extreme Low Light conditions, after sunset – Very high ISO 2000 and upwards with later model DSLR’s. Remember – In high light conditions your ISO should be reduced in order to prevent over exposure of highlight areas. Tip – During post processing, it is easier to boost the light on under-exposed elements of an image than it is to reduce over exposed elements of an image. What it is – Aperture is the hole or opening that controls the amount of light that passes through the lens. In other words it is the opening in your lens which let’s light onto your camera’s sensor. The aperture which you set influences the size of that hole and therefore the amount of light which you let in per shot. Naturally, the larger the hole, the more light gets in. Aperture also controls the depth of field in an image which is a very important creative tool within photography. What this means to you – Aperture is represented on the camera by the f -stop number. The aperture is actually a fraction of the f-stop number. eg. f 3.5 represents aperture of 1/3.5. If this makes no sense to you just try remember the below rules for aperture. The lower the f number – the larger the aperture hole and the more light you will let in. The higher the f number – the smaller the hole and the less light you will let in. The higher the f number – the larger your depth of field and the more detailed your image will be throughout. eg. f 9 and higher. Tip – A large depth of field is desirable in landscape photography where you want all elements to be in focus and you are not just concentrating on a specific subject in the image. Therefore an f –stop value of 9 and above should be used. What it is – the length of time which a camera’s sensor will be exposed to light. It therefore represents the amount of time the camera’s shutter will be open to light during a single frame. This is a very important thing to remember for 1) the overall exposure of your image i.e. how light or dark the image will be and for the 2) sharpness of the image. 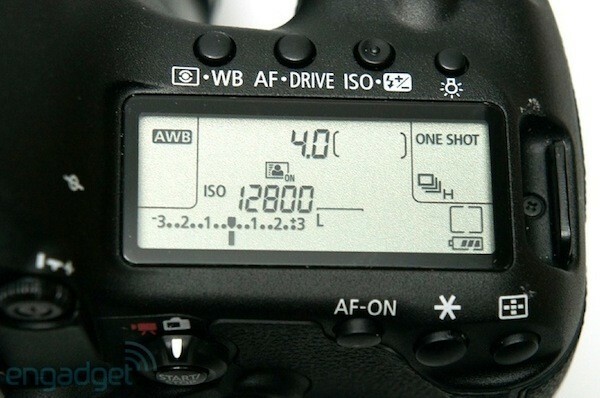 The shutter speed is also represented as a fraction of the number displayed on the camera. Eg. a shutter speed of 200 actually represents 1/200 or one 200th of a second. Therefore the higher the number, the faster the shutter speed. What this means to you – The shutter speed is crucial for the effects of motion. You can capture a motion image in crisp focus, or with a blurred effect, all depending on what you choose as your shutter speed. During my photographic journey I have been amazed at how much more sensitive my eye has become to the sharpness of images. This is particularly important for action type of photography which is always relevant to wildlife photographers and any type of photography where the subject may be in motion when the image is captured. Tip: With wildlife photography in mind, remember that predators are crepuscular – meaning they are most active at dawn and dusk. This means the amount of available light is often very low as predators become active. In these moments try to have your shutter speed as high as possible by boosting your ISO setting and enlarging your aperture (low f-stop number) to achieve a neutral exposure with a high enough shutter speed to still capture a sharp image. Higher shutter speed – Less light will be let in and therefore the darker the image or lower the exposure of the image will be. Lower shutter speed – More light will be let in and therefore the lighter the image or higher the exposure of the image will be. The higher the shutter speed – The sharper the image will be. The more pin point the focus will be on any motion in the image and reduce motion blur. Remember – Stabilise, stabilise, stabilise… Use a tripod, monopod, bean bag or whatever you can find to stabilise your camera and lens. Tip – Always turn off your vehicle if you are shooting from inside a vehicle. Insist your guide turns off the vehicle at every sighting or every time he/she stops the vehicle. This should be second nature to guides, so do not feel bad for requesting this… ever! An idle vehicle with it’s engine “on” will always result in camera shake and images which are not sharp enough! Tip – In order to learn each element of the exposure triangle and most importantly how the elements relate to each other, I suggest diving straight in on the fully manual mode. Once you have the understanding of each of the elements you will be able to more effectively use the other semi-manual modes (P ; AV ; TV or P ; A ; S). The reason for this is the exposure meter. This mode provides the ultimate learning platform. Often discounted by photographers and teachers because it leaves you with “too much to do”. Having taught myself, I disagree with these viewpoints. Most of these people did not learn practically, like you and me…. therefore they do not understand the benefit of Manual mode to learning. The biggest benefit and what sometimes feels like a hidden treasure in our DSLR camera’s, is the Exposure Meter or exposure level indicator. The point is to use this exposure meter as a guide as to how effectively you are effecting the Exposure Triangle of ISO, Aperture and Shutter Speed. The indicator should sit exactly in the middle of the exposure meter for a neutrally exposed photograph. If falls on either side of centre it will indicate a shot which is either over or under exposed, depending on which side it is on. You can then adjust one of the three relevant elements (ISO, aperture or shutter speed) to bring the indicator to the centre of the Exposure meter in order to achieve a neutral exposure. Step 1 – Decide on your ISO setting based on the amount of available light in the scene. Do this before you start shooting as ISO is the foundation of the Exposure Triangle. If it is 1) a low light scene have a high enough ISO to allow for an adequately fast shutter speed. 2) If it is a high light scene have a lower ISO to avoid over exposure on highlight areas. Step 2 – Decide if you need to prioritise your 1) aperture or 2) shutter speed for what you are trying to achieve. If it is an action scene choose the shutter speed. If it is a creative scene choose the aperture. For example if you are trying to photograph a bird about to take off. Set a high shutter speed in order to capture the wings crisply. Step 3 – Focus on your subject and depress the shutter button half way. This will bring up the Exposure Level Indicator and the pointer will either be left of centre (under exposed on Canon, over exposed on Nikon) or right of centre (over exposed on Canon, under exposed on Nikon). Adjust either the shutter speed or Aperture to bring the indicator to the centre indicating a neutral exposure. In the example of a flying bird, you would adjust the aperture as necessary because you have already chosen what you want the ISO and aperture to be in the previous steps. Step 4 – Take the photograph and immediately check the image on your LCD screen. Decide if you are happy with what the camera represents as a neutral exposure. Step 5 – If you think the image needs more light, adjust your settings so that the indicator point on the exposure meter goes one third of a stop onto the over exposed side. Each number on the Exposure Level Indicator represents a Stop (A Stop is a measure of exposure relating to the doubling or halving of the amount of light). You can do this by either: 1) slowing your shutter speed, 2) Decrease the F-stop number by increasing the size of your aperture to let in more light. Step 6 – If you think the image needs less light adjust your settings to take the indicator point a third or two thirds of a stop to under exposed side on the exposure meter side by: 1) Increasing the shutter speed, 2) increase the F-stop number by decreasing the size of you aperture to let in less light. Step 7 – Decide if you need to adjust your ISO setting in order to have more control over the image. If you are unable to get an adequately fast shutter speed in order to achieve neutral exposure and capture the detail of motion, then increase your ISO setting which in turn will allow you to increase your shutter speed and achieve a neutral exposure. By using the exposure level indicator on the manual mode you will quickly build an understanding of the relationship between the elements. Through his guiding career, Brad developed a passion for wildlife photography and believes strongly in the idea of conservation through photography. “I believe through the power of imagery, we are able to tell compelling stories about the moments which matter most.” Brad is fantastic at helping people with their own photography and ensures the only things more vivid than the memories you leave with, are the images that tell your stories.